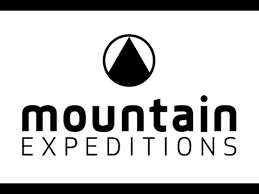 We specialise in small group and 1:1 polar and mountain expeditions to interesting objectives around the world with a flexible and unique approach. Please get in touch if you'd like any advice or to chat about your dream peak or journey. Aconcagua, Argentina | Baruntse, Nepal | Rockies, Canada | Carstensz Pyramid, Indonesia | Cho Oyu, Tibet | Costa Rica | Everest North Ridge | Gould Bay Emperor Penguins, Antarctica | Himlung Himal, Nepal | Island Peak, Nepal | Joshua Tree, USA | K2 Base Camp, Pakistan | Khan Tengri, Kyrgystan | Kilimanjaro, Tanzania | KusumKangri, Nepal | Liverpool Land, Greenland | Mt Kenya, Kenya | Mt Parish, Antarctica | Mt Vinson, Antarctica | Orsted Dal, Geenland | Pk Chapeyev, Tien Shan | Pumori, Nepal | Siberia, Russia | South Pole LD | Stauning Alps, Greenland | Stok Kangri, India | Tent Peak, Nepal...….